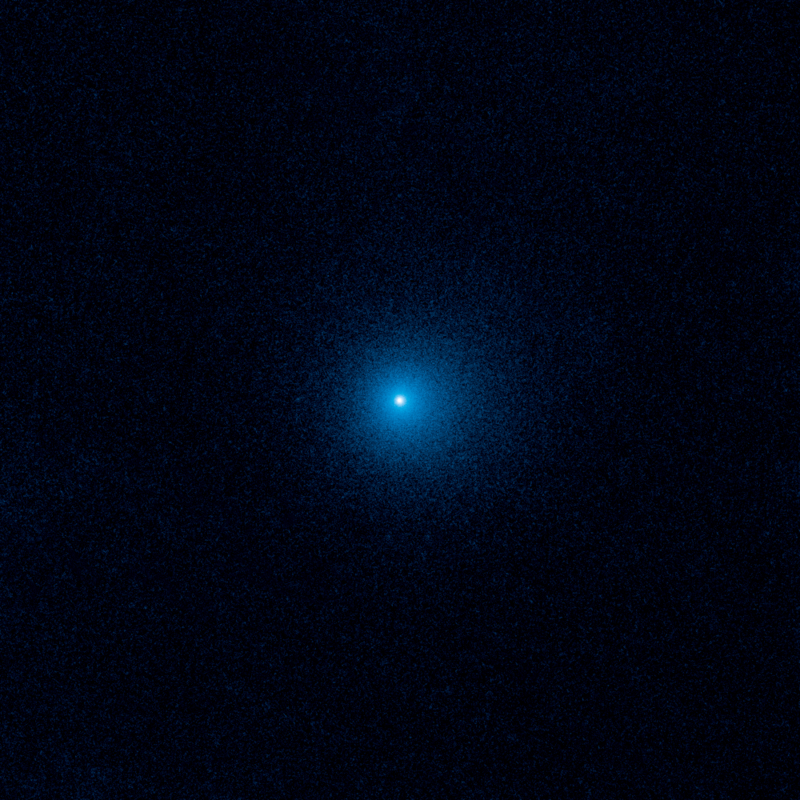 UCLA’s Professor David Jewitt has most recently been involved in using NASA’s Hubble Space Telescope to image the farthest active inbound comet yet seen. The comet is so small, faint, and far away that it eluded detection. Finally, in May 2017, astronomers using the Panoramic Survey Telescope and Rapid Response System (Pan-STARRS) in Hawaii spotted the solitary intruder at a whopping 1.5 billion miles away – between the orbits of Saturn and Uranus. The Hubble Space Telescope was enlisted to take close-up views of the comet, called C/2017 K2 PANSTARRS (K2). The comet is record-breaking because it is already becoming active under the feeble glow of the distant Sun. Astronomers have never seen an active inbound comet this far out, where sunlight is merely 1/225th its brightness as seen from Earth. Temperatures, correspondingly, are at a minus 440 degrees Fahrenheit. Even at such bone-chilling temperatures, a mix of ancient ices on the surface – oxygen, nitrogen, carbon dioxide, and carbon monoxide – is beginning to sublimate and shed as dust. This material balloons into a vast 80,000-mile-wide halo of dust, called a coma, enveloping the solid nucleus.